Sarushima is an uninhabited, natural island off the shore of Yokosuka, Kanagawa. 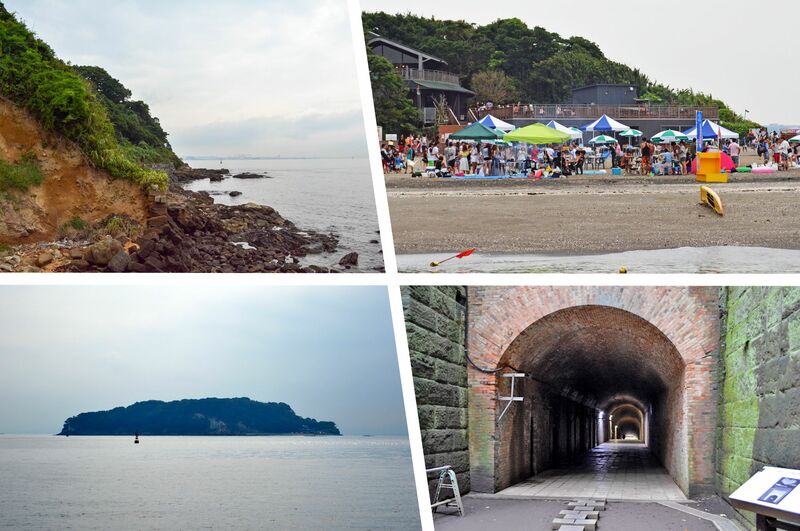 On the island are several fishing spots, remnants of a military facility, a walking path, and a beach where visitors can enjoy barbecue. There are also showering rooms and shops where visitors can rent fishing and barbecue equipment. Most of Sarushima is maintained as a park by Yokosuka city. Potteries dating back to the Jomon period and human bones dating back to the Yayoi period have been discovered on the island and it is speculated that the island was inhabited during that era. There is a legend that the Buddhist monk, Nichiren was washed ashore onto the island in 1253 following a storm. In 1847, the first artillery battery in Japan was built on 3 locations on the island by the Tokugawa shogunate. After the Meiji Restoration in 1868, the island was further developed as a fortification to defend Tokyo Bay against foreign intrusions. The facility was temporarily abandoned after 1925 but was once again developed during World War II with the placement of 5 anti-aircraft guns. Though the fortification was never used in battle, much of it can still be seen on the island. During the period between the end of World War II and 1961, the island was occupied by the US army. 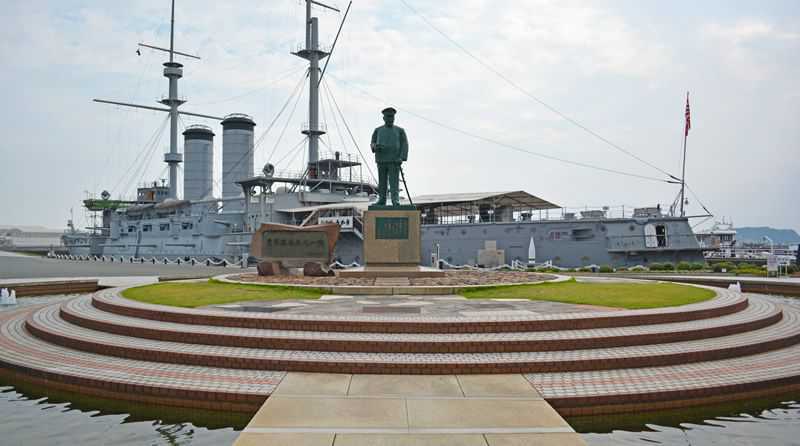 Statue of Togo Heihachiro with the battleship, Mikasa in the background at Mikasa Park. Mikasa Park is a park located off the shore of Sarushima. The park features the battleship, Mikasa, a pre-Dreadnought battleship that served under Admiral Togo Heihachiro during the Russo-Japanese War. There is also a fountain that is host to several fountain shows a day. Access to the island is easy as there is a ferry that connects the shore and the island in about 10 minutes. As of November 2014, a round ticket to Sarushima costs 1300 yen for 1 adult, 650 yen for elementary school children, and free for toddlers. The boarding area for the ferry can be accessed via a 15-minute walk from Yokosuka Chuo Station. Heiken-ji, or Kawasaki Daishi as it is commonly known, is a temple belonging to the Chisan Sect of Shingon Buddhism. Kawasaki Daishi has long been a popular temple for Hatsumode - the first visit to a Shinto shrine or a Buddhist temple in a new year.